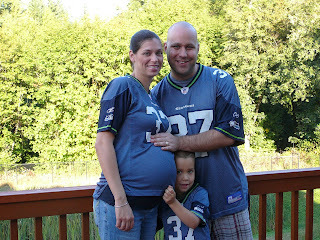 All that's left to do is birth little Chloë, put her in a matching Alexander #37 Seahawks Home Jersey, and cheer! 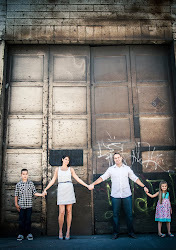 It seems like everyone we know is having a baby soon! Case in point: We're playing in a fanstasy football league with some friends...4 couples, 4 pregnant wives! So we are the PFL - "Pregnant Football League". So, while we wait to welcome little Chloë into our lives...Aiden is growing up so big (for proof, see the below photo taken at Jamison Square Park in July 2007 - does that look like a 5 year-old to you?)! He starts kindergarten at Kingsway Christian School on September 5th, 2007 - he's pretty excited.